Woot! 2 Stretch goals have been unlocked! These provide access to ebony undead tokens and red oak dice towers for everyone! Also, these two goal mean every backer will receive a free 1" undead token and medium foliage! Yay freebies! 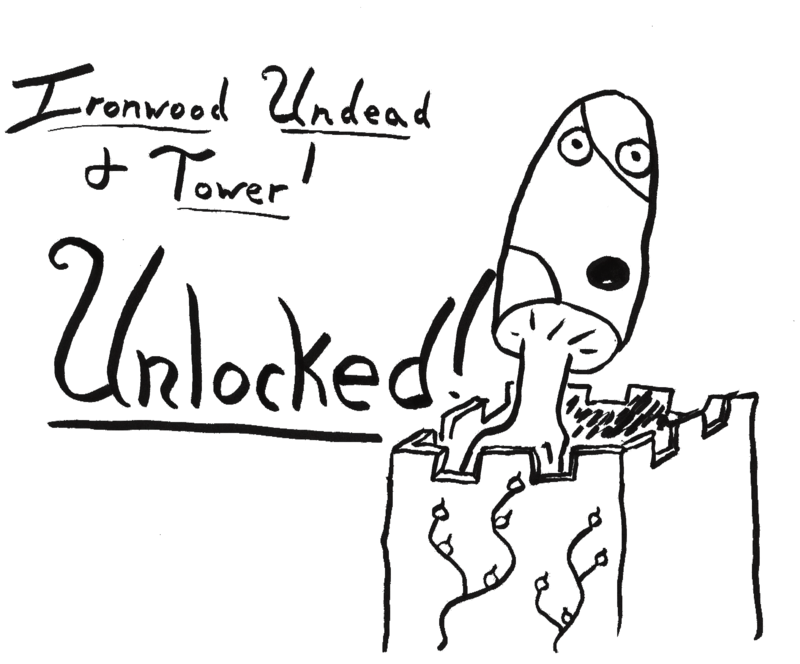 $4,000 - Ironwood Undead You can now get the gaboon ebony undead tokens from the Ironwood Lich Overlord tier outside of that level! For $10, you can get 5 1" undead tokens engraved from solid gaboon ebony, the black wood you know and love from piano keys. The current selection of undead includes skeletons, zombies, bone hounds, ghasts, ghosts, ghouls, liches, vampires, wraiths and necromancers. If you have other ideas for undead, feel free to inquire. I can work with you and give others an additional selection as well! $4,500 - Ironwood Tower There have been several of you interested in adding a dice tower, and now you can! For $30, you can get either a "Tree of Life" or "Death's Grip" dice tower made from solid 1/4" red oak that can ring in natural 20's with a satisfying clickaclack! Looking to add to another pledge? Add $30 for 1 tower or $50 for both! International customers should include an increase in their pledge to account for $60 total shipping. These large towers don't fit inside the cheaper shipping materials. Up Next - Ironwood Compass! If we hit $5,000, I'll be able to upgrade to the 5th gen laser from Full Spectrum Laser. This will make my life significantly easier as well as opening up new possibilities! As a thanks to everyone, ever backer will receive a 5" red oak compass rose only produced through this kickstarter. I have a few styles in mind, but I am open to suggestions if someone has a strong opinion on the matter. You folks are making this happen, so I have no problems letting you choose!